The Academy features a low and reasonable tuition rate and the Academy pays for your books and examination proctoring fees! This represents a savings of more than $2,000 over the course of your bachelor’s program, with similar savings for the master’s and doctoral programs. Financial Aid is available for eligible students. Unlike most schools that have fees for virtually every service imaginable, the Academy tuition covers the entire cost for the course, with no extra fees. What you see is what you get! No additional housing costs! Because the Academy’s programs are online, you can study from wherever you live with no campus housing expense. Pursue your degree while you’re working your current job! The Academy’s unique rolling enrollment approach allows students to register for classes any day of the week and any week of the year. The Academy’s 100% online and asynchronous courses allow you to study 24/7/365 at any time from any place on your schedule – not ours. And we are Military Friendly: http://ussa.edu/military/ . Sports are the only programs at the Academy!  With 45 years of accredited quality sports education programs behind us, no one knows more about the subject than we do. Your sport career starts here!